Hollie Yokley, a sophomore at Motlow State Community College, was recently named a Phi Theta Kappa 2018 Coca-Cola Leaders of Promise Scholar and awarded a $1,000 scholarship. Hollie, from McMinnville, is one of only 207 PTK sophomores nationwide to receive the award. While the dollars that come from a scholarship typically mean a lot to a college student who is struggling to make ends meet, the intangible benefits of receiving an award can last a lifetime. Hollie Yokley, a Motlow State Community College sophomore from McMinnville, was recently selected as a 2018 Coca-Cola Leaders of Promise Scholar and received a $1,000 scholarship. She is one of 207 Phi Theta Kappa (PTK) members nationwide, and one of two Motlow sophomores this year, to receive the award. Yokley is attending Motlow at the McMinnville campus, pursing her Associate of Science degree in biology. Her plans include getting her bachelor’s degree at Middle Tennessee State University in biochemistry and then studying to become either a physician’s assistant or a medical doctor. The Coca-Cola Leaders of Promise Scholarship Program helps new PTK members defray educational expenses while enrolled in associate degree programs. Scholars are also encouraged to assume leadership roles by participating in Society programs and are selected based on scholastic achievement, community service, and leadership potential. More than 1,200 applications were received. 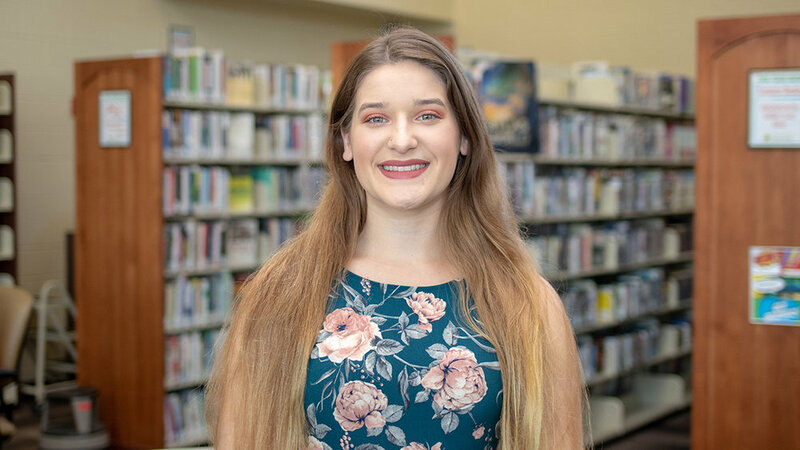 Hollie also recently received a biology award at Motlow, and often helps other students with their studies in a variety of subjects from English to math and science. Her hobbies include kickboxing and Jiu-Jitsu, where she instructs women and children. She is also playing an active role in the startup of a Motlow McMinnville campus Rotoract club, which is a service-based student organization associated with the Rotary club.